As any South Australian bill-payer can tell you, electricity prices are eye-watering. Fortunately, shopping around for a better deal is a bit easier in SA compared to other states, thanks in part to its relatively simple tariffs. If you’re across the energy lingo, a ‘tariff’ describes how customers are charged for electricity. In this article, Canstar Blue explains what electricity tariffs are available in SA and how they work. We also discuss what to look out for when comparing energy deals and how to find the best price for electricity. An electricity tariff essentially describes how you are charged for electricity. For instance, you may be charged the same rate for all usage, or you may be charged different rates depending on how much power you have used – both are examples of tariffs. Before continuing to discuss tariffs, it’s important to understand the two key elements of your bill, supply charges and usage charges. Supply charges: This is a daily fixed cost simply for remaining connected to the electricity grid. Customers in SA are typically charged anything from $0.90 to $1.80 per day. Usage charges: This is a charge that reflects the cost of the electricity you actually use. In SA, this is usually about 40c to 50c per kWh of electricity consumed. For context, a typical five-person Australian household consumes around 18.8/kWh per day. This tariff is known by many names, including ‘single rate’, ‘flat rate’, ‘domestic’, ‘peak’ or ‘anytime’. 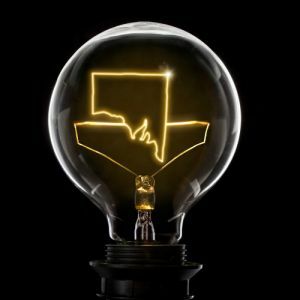 This tariff is currently the most common among South Australian residential customers. On this tariff, the price you pay for electricity will typically change depending on how much electricity you use. Often, but not always, the price of electricity increases with each block of usage. The table below illustrates an example of how this tariff works. In this case, separate rates are charged for the first 11kWh, the next 14kWh, and then all remaining usage. Keep in mind that other retailers may have more or less usage blocks. In fact, some retailers opt for the same price for all your usage. Some energy companies also apply ‘summer rates’ and lower ‘non-summer’ rates to reflect increased electricity demand across different times in the year. Here is an example of what SA households can expect to pay if they have a single rate tariff. These are some of the cheapest published deals from the retailers on our database that include a link to the retailer’s website for further details. 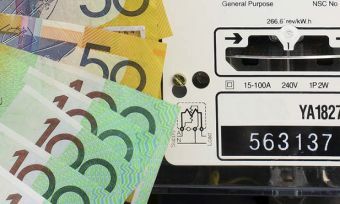 These costs are based on a typical three-person household living on the SA Power network in Adelaide, but prices may vary depending on your circumstances. Use our comparison tool above for a specific comparison in your area. These are featured products from referral partners. Our database may not cover all deals available in your area, and please check retailer websites for up to date information. The Domestic Light/Power tariff can vary somewhat in both its structure and rates from retailer to retailer, making it a bit tricky to compare prices. Fortunately, Canstar Blue does the calculations for you with our price comparison tool (above). If you want to compare rates directly however, then check each retailer’s energy price factsheets. Be sure to look at the number and size of usage blocks when comparing retailers in South Australia as picking the wrong pricing structure for your home could prove incredibly costly. The nature of pricing blocks like this means the electricity provider that works out cheapest for one type of household could be different to the cheapest option for another household with different usage habits. Put simply, if you don’t use much power, look for the cheapest initial usage blocks you can find. If you use lots of power, pay particular attention to the costs of higher usage blocks. Demand tariffs are a new type of tariff designed to ‘better reflect customer needs and the impact this may have on the network’. Essentially, customers are charged a low flat rate for electricity usage, plus the standard supply charge. In addition, customers receive a ‘demand charge’. This is a daily charge that reflects your peak electricity usage within a 30 minute period during peak hours (typically 4pm – 9pm). Here is an example of how it works. A household is charged a typical demand charge of 40c/kw/day. At one point during peak hours, the household runs the TV, fridge, clothes dryer and electric oven, causing the household’s electricity usage to spike to 3kWh. On top of its standard charges, the household is also charged 120 cents per day in demand charges (3kWh x 40c). A controlled load tariff is a unique type of tariff whereby large appliances are metered separately to the rest of the home. For example, a controlled load tariff may apply to your hot water system, slab heater or other large appliance, while the standard single rate tariff applies for all other electricity usage. Controlled load rates are much lower than general usage rates, meaning customers can save considerably on electricity usage. The catch with controlled load tariffs is that the nominated appliances only receive electricity supply during off-peak hours, usually between 11pm and 6am. This limited supply means that a controlled load tariff is only suitable for a handful of appliances, such as electric hot water systems, heat slabs and pool pumps. A controlled load tariff can be a great way to save money, so long as you’re comfortable with relegating electricity supply to off-peak hours. This isn’t an electricity usage tariff like the ones previous mentioned. Instead, a Feed-in Tariff, or FiT, refers to an arrangement in which customers receive credits for unused solar power. When solar panels produce electricity, but no one is around to use it, that electricity is automatically fed into the shared energy grid for someone else to use. In exchange, your retailer credits you for each kWh of electricity your solar system exported. Most retailers will offer between 10c and 16c for each kWh of solar power you export. If you have solar panels, be sure to consider what feed-in tariffs are available when comparing retailers. *Costs based on annual usage calculations using statistics from AER for a three person household on the SA Power network in Adelaide, April 2019. For more information on annual cost calculations please click here.